Carnations are pretty awesome and are definitely a favorite at FiftyFlowers.com…They are super hardy, are easy to work with, come in a huge selection of colors, including the rare Purples, they can work with ANY theme or look, and I mean ANY!, and are very easy on the pocketbook! What’s not to love?! In addition to being the January Birth Flower, Carnations have been the official Mother’s Day flower about a 100 years! The general meaning of the Carnation flower is Love and Fascination, however, just like roses, each color can have a different meaning, such as, Red representing Romantic Love or I Care for You, Pink meaning Perfect Happiness or Mother’s Love, and White symbolizing Pure or Innocent Love. DIY Flower Projects with Carnations! 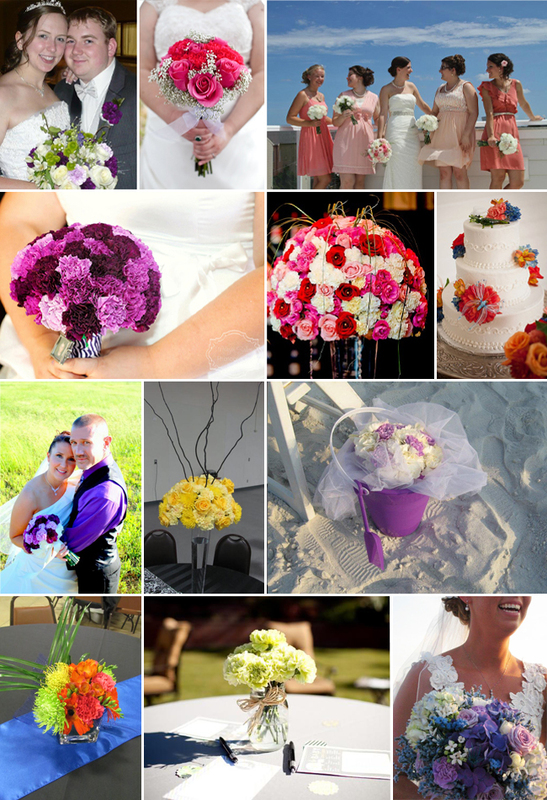 To see all of these and more FiftyFlowers Reviews and Testimonials that include Carnations, click here! Fill the buckets with at least 4 inches of fresh, cool water. If you have flower food, follow the instructions on the packet to prepare your water. If you do not have flower food, it can be purchased at any local florist. Cut stems diagonally under running water with sharp scissors, about one inch from each of the stem’s bottom edge. Remove any greenery that would fall below the water line, as this can cause bacteria. To see all our Carnations head to FiftyFlowers Now and I hope you enjoyed this Carnation Celebration!